Goods sheds and warehouses played a significant role in the economic life of England until the 1970s. This document gives an overview of the building type from its origins in the late 1820s until the final examples were constructed in the 1960s. 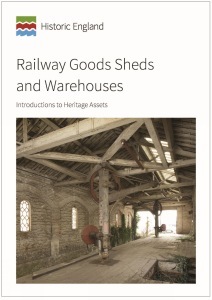 It considers the function and development of goods sheds, discusses elements of their design, and gives some examples of how individual railway companies developed their own distinctive styles.